Sakura is an extremely energetic and cheerful character. She is very athletic, being a member of her school's cheer leading squad and an excellent runner. Her "invincible spell," "Everything will surely be all right" ("Zettai daijoubu da yo"), has carried her through innumerable trials and obstacles as she masters her magical skills. She often comes across as naive, clumsy, and clueless, but she is perceptive, sweet and loyal. She has a best friend named Tomoyo and is often recorded by her in action. 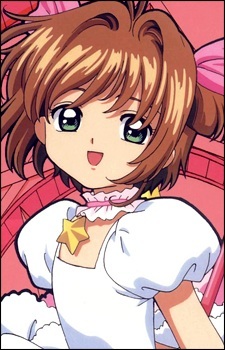 She is loved by Syaoran Li. She is cute and caring and has a big brother that is a chick magnet. She has a pretty normal life, except that she is the Cardcaptor, responsible for collecting all the Clow Cards, and also knows a magical "Beast of the Seal" named Kero who loves sweets.